We enjoy the three touch sequential marketing tool the most, but enjoy the constant integrations that help us improve what we do. Hot Prospector is constantly adding new features. I feel like we haven't even begun to use everything this tool can offer a client. Sometimes the tool has software issues, but like many technology pieces that is pretty standard. They are usually quick to respond to help out. The owner of Hot Prospector has been fantastic. Pricing can be somewhat confusing to gauge when figuring out your full hard costs due to many variables when running campaigns like we do as an agency. Depending on what your niche is, this tool can really drive your business to the next level. I am excited about the many new improvements that HP brings to the table. We have tools that no one else has. I highly recommend HP and learning everything it can do. The more you know about this product the more ways you will figure out how to sell to potential clients. B2C communications on a broad level with a personal feel. We have created a funnel of sales leads for many of our clients that have blown their minds! We have also cut labor costs for companies while increasing sales, which isn't an easy task unless you have a tool like this. Our clients have been more than impressed with what we have done for them. 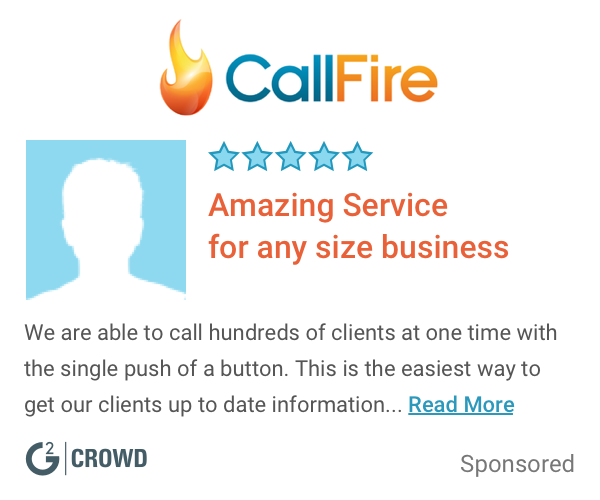 "Amazing CRM/Marketing Automation, Lead Capture, Sales Platform at a Very Affordable Price." I love the automation and ability to accomplish so many different marketing activities with ease. Hot Prospector is the best all-in-one CRM and marketing automation software for an incredible price. When you are a power user, like with all software, there are the occasional issues. Hot Prospector is very quick to respond to help out and the owner is extremely hands on and he takes users input very seriously. The pricing can be somewhat ambiguous until after you have run a couple of campaigns. Our clients and their customers are much happier than prior to using Hot Prospector. The system is user-friendly once you have gone through some training or have them onboard you via set up or, I highly recommend their VIP Services. Most small businesses really don't realize they need more than a CRM; they need affordable marketing automation, including lead nurturing by behaviors, responsive landing pages, and web forms. Hot Prospector's marketing automation offers peace of mind. This is an excellent all in one product, but again, if you want to ramp up quickly, allow Hot Prospector to set it up for you. It is well worth the investment. This software allows us to automate every piece of communication for ourselves and our clients, including e-mail, SMS messaging, voice drops, inbound and outbound phone calls, follow-ups, tasks, appointments, landing pages, etc. as well as managing our teams. This has resulted in a 40% increase in sales revenues in the first year and today, for every $1 invested, we are seeing an immediate $22 net return. Many of our clients have an even higher ROI. There are so many features I like it is hard to determine which I like best. I do love how I can automate so many of the manual marketing and sales tasks for myself, my team and my clients using Hot Prospector. Allowing the system to handle so many repetitive and mundane tasks gives my and my client's teams more time to concentrate on sales. I also like the Contact database and its ability to capture all contacts, with the option of even filling in the blanks by merging data from other sources. You can even have a prospect call and listen to a recording and capture all of their information just from their mobile number they use to call. The amount of data the system will merge into that contacts data is simply amazing. The ability to build email, SMS and ringless voicemail campaigns and schedule messages as far into the future as you would like, even indefinitely. 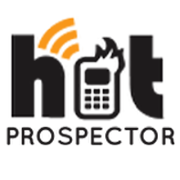 From lead capture, lead follow up, automated sales funnels, reporting, to managing newsletters, and so much more, Hot Prospector does it all. The system can even email and/or text when someone opens an email. I also love that I can broadcast to any number of segmented lists. Simple things like being able to set up tasks and appointments with reminders, monitor my teams, including listening to their sales calls with real-time reporting of all aspects of the system. The learning curve. It takes a bit to learn the system, but they do offer training and 1:1 help. I used to think the system was overly complicated, but now that I understand the big picture, I realize the power but also that I was making it more complicated than I had to. They also offer a VIP Done For Your Service if you are really afraid of technology. Do yourself and your business a huge favor and do not only look at costs, but see Hot Prospector as an investment that will pay for itself time and time again. Be patient with yourself as you learn the system and set everything up, or just use their VIP Done For Your Services. Having the ability to track our and our client's marketing efforts in an efficient manner is an incredible benefit. Having the ability to keep tabs on how interested leads are or become throughout the sales process allows us and our clients to pinpoint where to direct their immediate efforts. One of the greatest benefits is both ourselves and our clients have seen a minimum return on investment of $10 for every dollar invested. I like having everything I need all in one place. There isn't much I dislike about this service. Give it a try. At first it is a bit confusing setting things up. But like anything else you'll get the hang of it. My number one recommendation for anyone considering HP is set up a campaign and voice blast your first campaign. You'll be surprised. I always have problems contacting prospects. And with Hot Prospector I'm able to reach a large group of people using, phone, email, and text. "Hot Prospector = Marketing Goldmine"
The ability to do multi touch campaigns which go to phone, email and text. I would say there is a learning curve to using the software but they do a great job of support so it really isn't an issue! Be sure to watch the training videos in the beginning it will save you from trial and error. We have a need to reach people as well as capture data for our clients as well as for ourselves. With the inbound features offered in Hot Prospector it allows us to automate almost all data capture and easily develop quality customer profiles in real time. * We monitor all Hot Prospector reviews to prevent fraudulent reviews and keep review quality high. We do not post reviews by company employees or direct competitors. Validated reviews require the user to submit a screenshot of the product containing their user ID, in order to verify a user is an actual user of the product. Hi there! Are you looking to implement a solution like Hot Prospector?